Q: Can I order directlyfrom MacCourt? A: No, we never sell direct to consumers. For a retailer near you, call our Customer Service department 1-800-552-5473 from 8:00 – 4:00 MST. Q: Does MacCourt custom manufacture ponds? A: No, we do not custom manufacture. Q: How do I become a MacCourt Dealer? A: Call our Inside Sales department, 1-800-552-5473 press 1 for sales, or click here. Q: Do you drain the pond for winter? A: No. You risk the chance of the pond popping out of the ground as the ground freezes because there is no weight to hold it down. Q: How do you use the repair tape? A: Repair tape must be placed on a clean, dry surface. It can go on the inside, outside, or both sides if you really want to be sure. Just peel off the backing and stick it on. Q: Can the lawn ponds be painted or can stones be glued to them? A: No. Nothing like that will stick to the ponds. HDPE (high density polyethylene) is second only to Teflon in non-stick properties. Q: Do the ponds come in any other color? Q: Can I cement my pond in the ground? A: No. The HDPE actually expands and contracts in the heat and cold so if it were in cement it would not be able to do that & would crack. 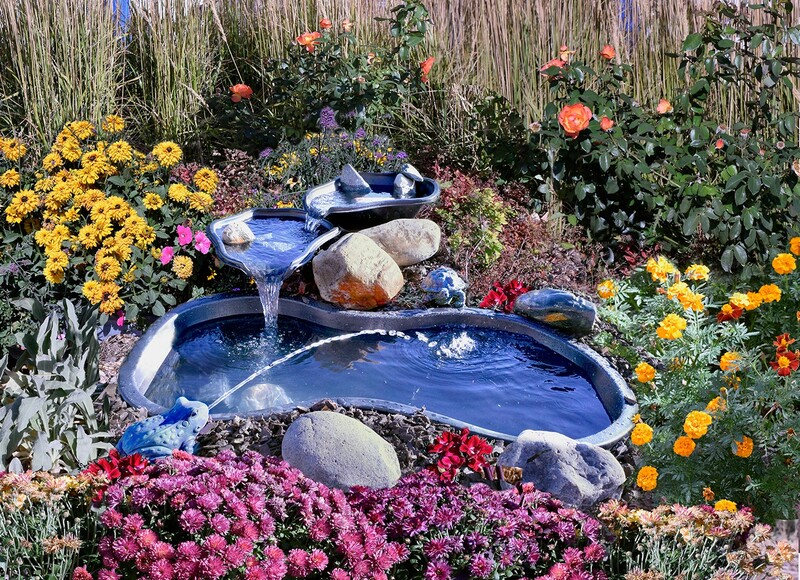 Q: Can I install my pond above ground? A: Yes, but the sides must be supported at least 1/2 the way up to keep them from billowing out when all the water is put in. 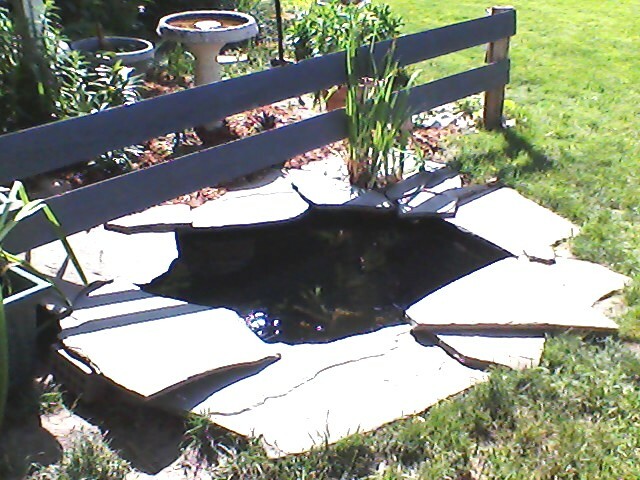 Q: What should be done if the pond seems warped? A: Just lay it upside down on a flat surface in the warm sun for a few hours. The problem should be corrected. Q: Should I put gravel or pebbles on the bottom of the pond? A: No. They quickly become covered with a thin film of sediment, which is not very pretty. Drowned worms and other decaying debris may also settle between the pebbles, placing them out of reach of scavenging snails and fish. 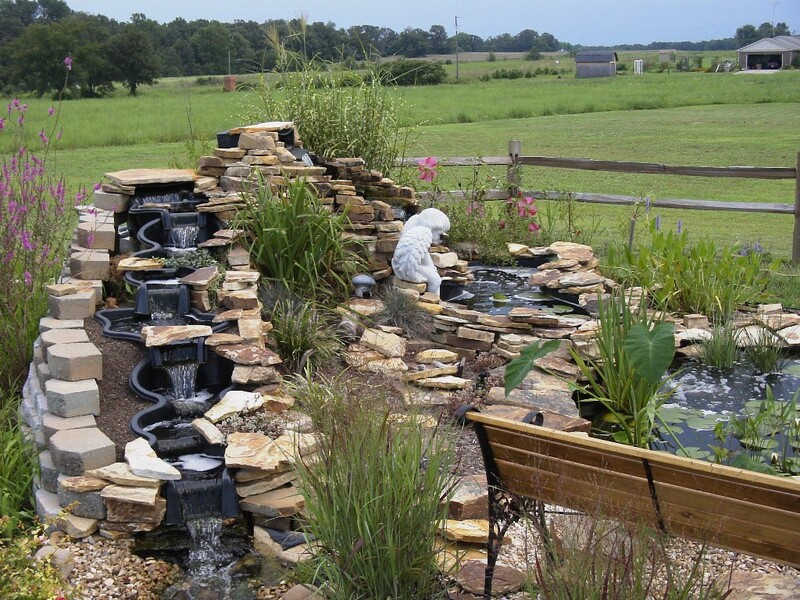 This could cause bad pond hygiene and affect the health of the pond’s inhabitants. Q: Can I put a heavy statue in my pond? A: Yes, but a suitable footing underneath the pond must be provided before the pond is installed. A concrete sub-base (about 4″ thick) that is a few inches longer and wider than the bottom of the statue or pedestal should be enough. If this isn’t done, the weight of the statue can crack or tear the pond. Q: How much water evaporation is normal in my pond? A: The evaporation rate/quantity depends upon weather conditions such as heat, humidity (or lack of), and wind; also, whether there is a fountain, sprayer, or waterfall installed. You can always check with a local swimming pool maintenance company to see what they have found to be normal for your area. A: Warranted for a lifetime from date of purchase against MANUFACTURER’S DEFECTS ONLY. In order to take advantage of the warranty take the defective pond along with the register receipt (to show proof of purchase) back to the store where it was purchased for an exchange. Q: Can I order directly from MacCourt? A: No, we never sell any of our products direct to consumers. For a retailer near you, call our Customer Service department 1-800-552-5473 from 8:00 – 4:00 CST. 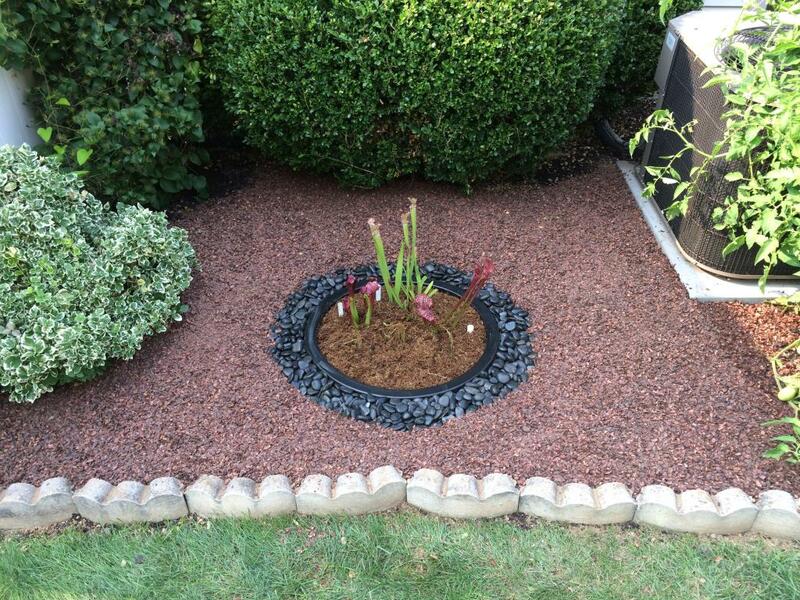 Q: Does MacCourt do any custom manufacture window well covers? 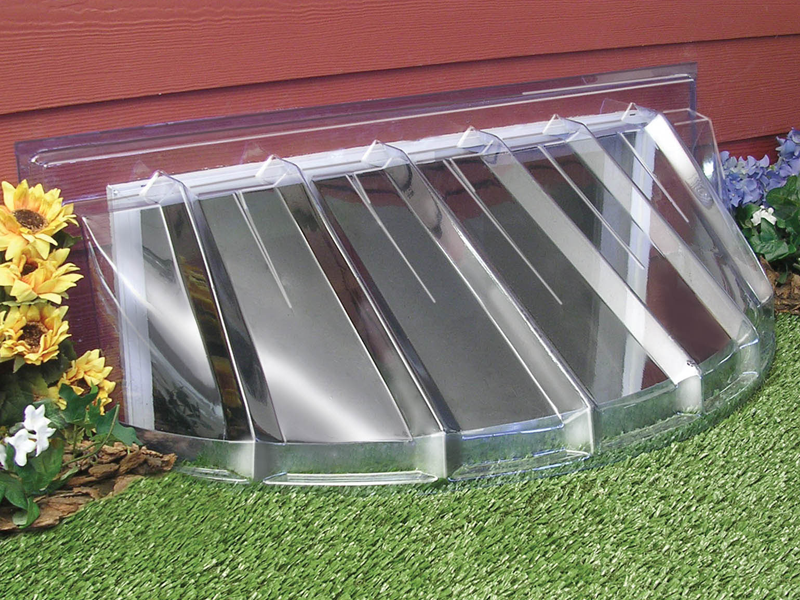 Q: Where can I order custom manufactured window well covers? 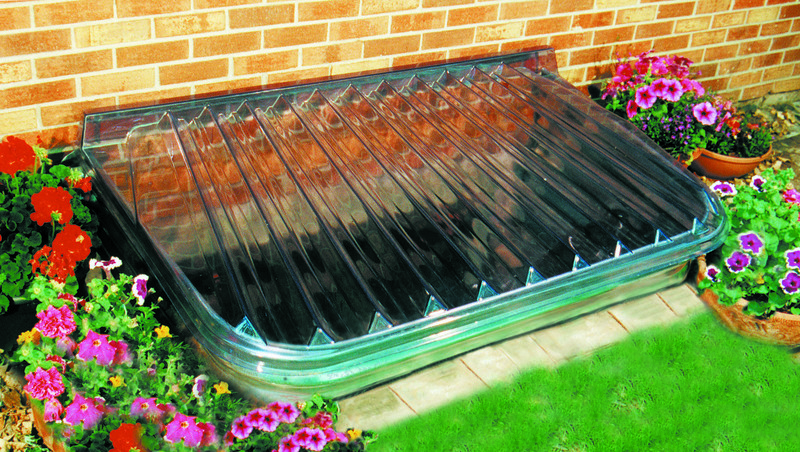 Q: Is there a window well company that makes wells that match up with our size covers? A: Warranted for 5 years from date of purchase against MANUFACTURER’S DEFECTS ONLY. In order to take advantage of the warranty send a short note stating the model name or number, how many covers are defective, what the problem is, and enclose a copy of the register receipt (to show Proof of Purchase date). Send the information to: MacCourt Products, Inc., 4800 Joliet St. Denver, CO 80239. In return, you will receive a letter to take to the store to exchange for a new cover(s). Q: How do the screw, clip, washer, and nut go into the window well cover? A: After drilling 3/16″ holes through the window well cover in the necessary positions, clips must be mounted to the window well cover. Hold the screw by the head putting it through the clip from the inside and then through the washer. Next put it up through the window well cover from the underside and then screw the cap nut on from the top side of the window well cover. The clips can be tightened or loosened to grip the well by tightening or loosening the screw. The tighter you turn the screw, the smaller or tighter the clip gets.